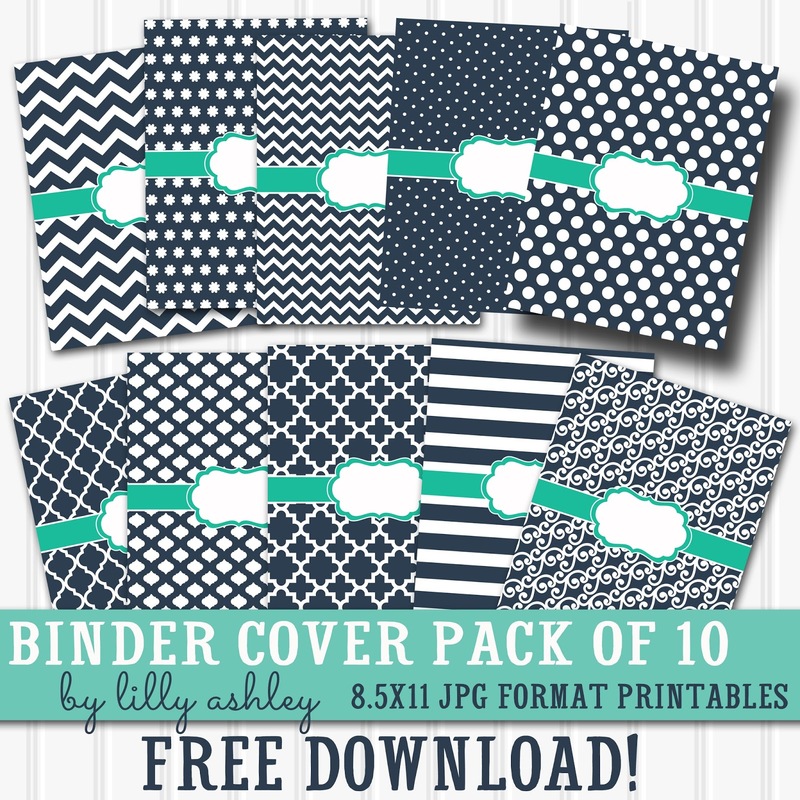 Today's freebie is a set of printable binder covers! 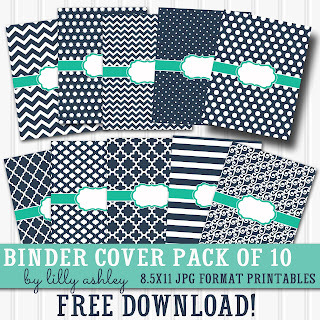 This personal use set comes with ten different patterns and can also be used as binder covers or dividers. Type/write subjects on the front to use for school binders, or use as binder covers for recipe binders, planner binders, etc! These make great dividers especially for recipe binders. Label "desserts", "dinners", etc to divide sections in your recipe binder. Most three ring binders (though not all) have a clear covering over the outside of them. The clear covering on the front has an opening at the top that a piece of paper can be slipped into to use as a cover. To use as dividers, slip into a clear sleeve made for binders. They have three holes on the left side for use with three ring binders. Another option is to write on them after printing with a colored permanent marker! These can be printed on your home printer and are already sized to 8.5x11. I recommend thicker paper than your standard printer paper...try cardstock or even photo paper. I love how soft gloss photo paper looks. A note about printing: colors may look different on paper than on screen! Monitor settings vary and a printer's color range is more limited than a screen. Click the ribbon below to head to the download folder and grab the zip file. Don't forget to unzip files! Zipped files won't print. Enjoy today's freebie, and be sure to check back with us soon for more free printables and more!